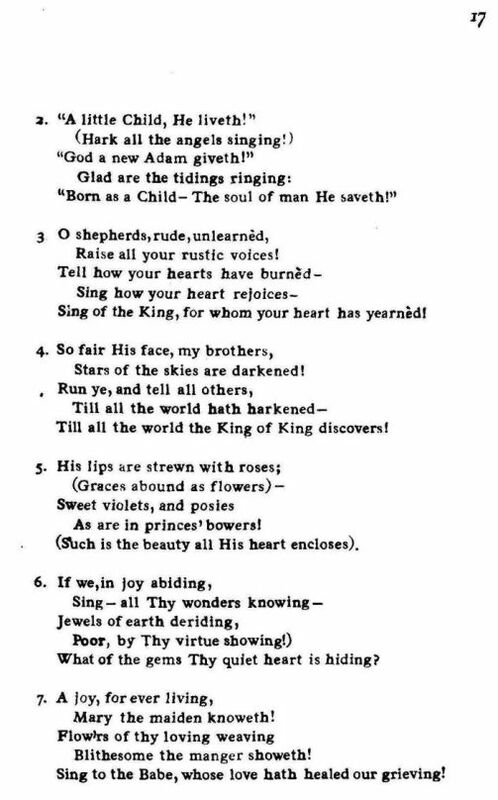 Source: Richard Runciman Terry, Two Hundred Folk Carols (London: Burns Oates & Washbourne Limited, 1933), Carol #136, pp. 16-17. Wreathe ye your flow'rets quickly, ere they wither. Raise all your rustic voices! Sing of the King, for whom your heart has yearnèd! Stars of the skies are darkened! Till all the world the King of Kings discovers. As are in princes' bowers! Such is the beauty all His heart encloses). What of the gems Thy quiet heart is hiding? Sing to the Babe, whose love hath healed our grieving! 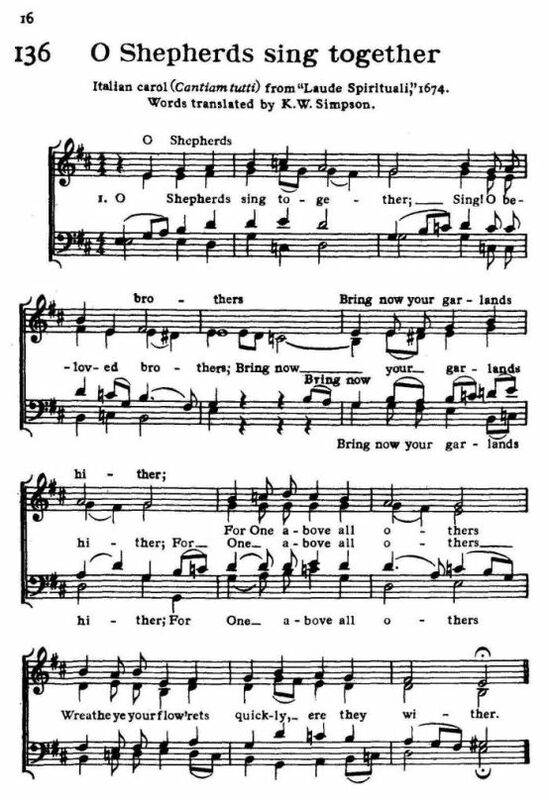 Sheet Music from Richard Runciman Terry, Two Hundred Folk Carols (London: Burns Oates & Washbourne Limited, 1933), Carol #136, pp. 16-17.